Security guard aboard the Krayton. 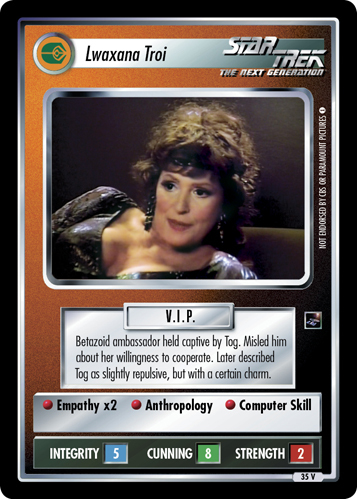 Served with Tog during the Lwaxana Troi incident. Played chess with William Riker. Isn't bragging about the outcome.